One overcast day in 1982, a ragtag crew of nerds gathered to play what was clearly the greatest game of softball in all history: SCTV cast versus SCTV crew. 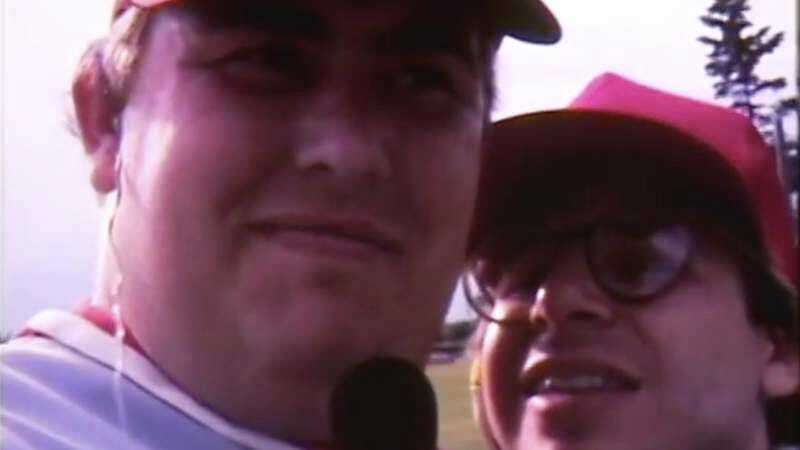 Found by John Candy’s widow, the delightfully named Rose Candy, the Super 8mm footage is a highlights reel of a game played in Edmonton City Park by comedy geniuses Catherine O’Hara, John Candy, Rick Moranis, Eugene Levy, Joe Flaherty, and Dave Thomas. Roving reporter Rick Moranis does quick interviews with players when they’re not on the field, and the wisecracking is so effortless and deft, maybe more so than the softball skills on display.